After weeks and weeks of working on just old WIP’s I found I was going slightly crazy. It initially seemed like a good idea to spend January and February finishing up old projects and not starting anything new but this week I discovered the down side…I was bored and creatively stunted. 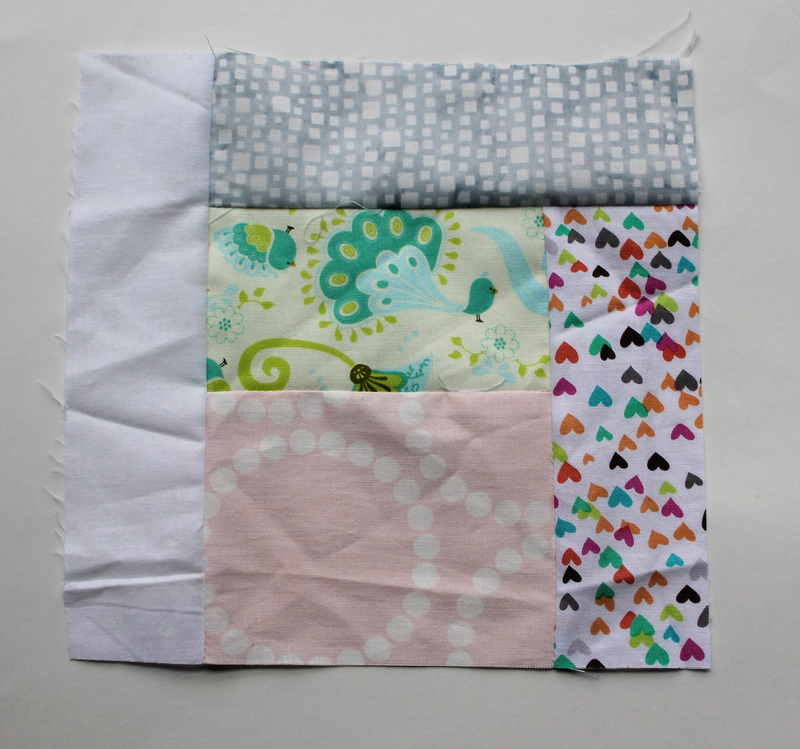 I then just go with the flow…I will grab a piece of fabric I like or a colour I want to use…. The joy of these blocks is that anything goes. 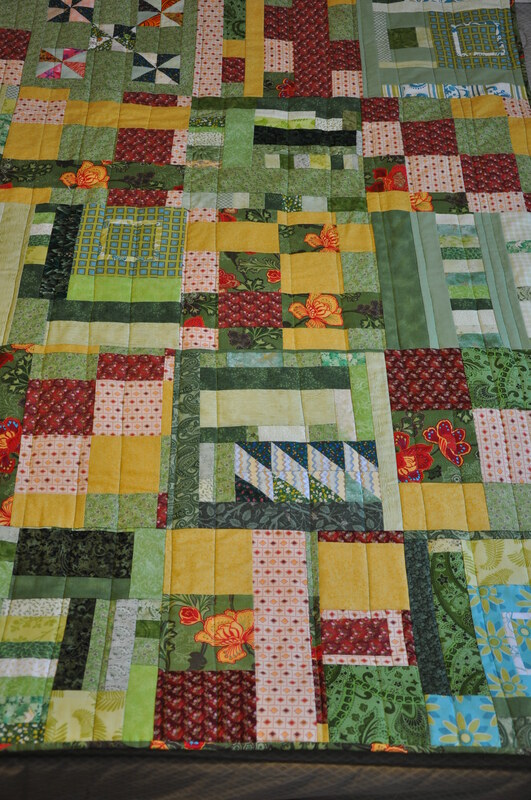 My finished blocks are 12 inch (12 1/2 with seam allowance) but they can be any size you want. There is no right or wrong way to do things with these blocks…. there is no measuring, no patterns just play….pretty pretty play. I am now heading back to finish up quilting another WIP…but when I need a break I will be making some more of these fun blocks. So how do you get your creative groove going when you are in a rut? Looks like fun. Jean Wells, among others, uses a similar technique and she uses really tiny scraps. Me?? I usually sew a garment for my granddaughters or make a doll dress or something like that so I have more scraps!! (Insert smile here…) Thanks for your posts. I really enjoy them. I have only just started dipping my toes into garment making. And I can see how it would be a nice departure from quilting. 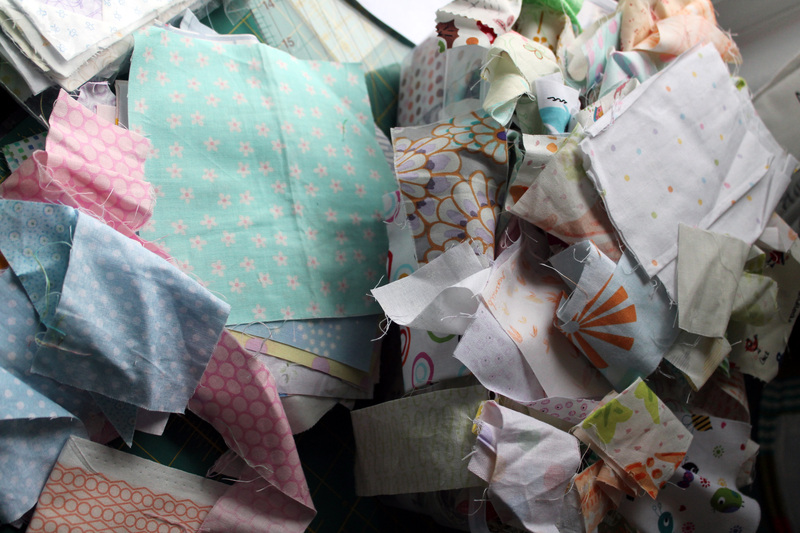 Your low-volume scraps are about equal to most of my stash! 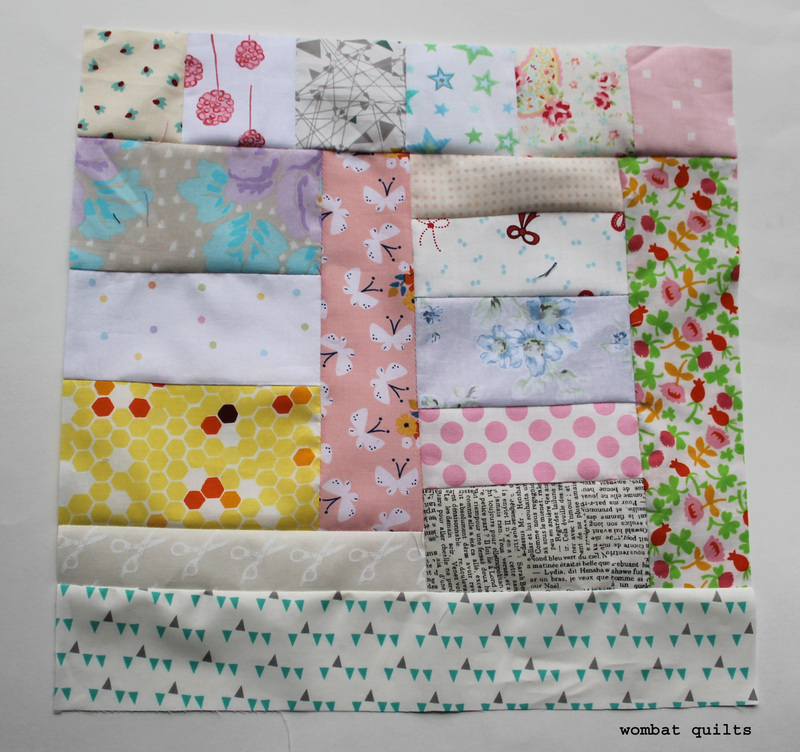 I love making quilts with them, and call them crumb quilts. I’m glad you’re having fun. Oh I love the idea of crumb quilts. I am going to call these quilts my crumb quilts from now on. wildly irregular and it has some pieces as an inch.small as an inch. I do exactly the same whenever I’m in a bit of a rut – find the freedom of not having to match seams or colours or follow any sort of pattern very energising, and it normally gets the creative juices flowing again! It really is the perfect distraction. I am glad I am not the only one who plays with improv scraps to get creatively motivated. Such Fun! Just a Free-Form block without having to think do I have the right sizes! I will have to try this. Thanks for sharing. Oh you have to give it a go. The first couple of blocks can have you questioning if it will work but once you start putting them together it is like magic. I have a shoe box stuffed with small scrap and a roll of cash register tape that I make long strips of crazy quilting on. Eventually these Strips will be cut up into rectangles come together with sashing. I call these my stained glass window quilts. 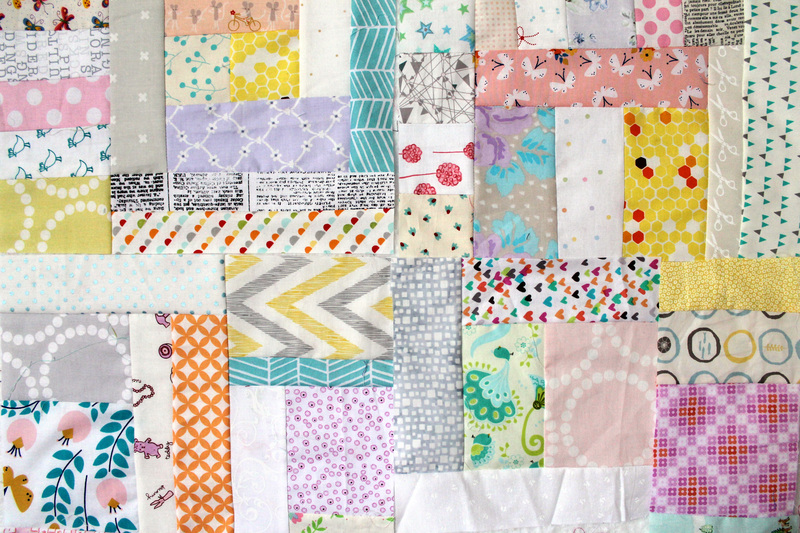 It’s mindless, it’s fun, and a nifty to create charity quilts in a nickel budget. Sue I love this idea. If you are game I would love to see what the blocks look like. It sounds so cool. Starting a new project or buying new fabric usually helps get me out of any creative ruts I may fall into. I’m not good at improve, nor do my scraps look even close to as neat or uniform as yours (yet you are a paper piecer, too! Do you have a separate paper piecing remnants scrap bin?). I may try this method one day, though. It does sound freeing! Buying fabric always works for me too but I am in a fabric diet at the moment so that trick was not available to help me out of my rut. As for my neat scraps…you did not look close enough. The are messy and uneven and unironed. It is a bit of an embarrassment but a lot of them are also scissor cut and not rotary cut. Oh and do not get me started on messy way I store them. Augh! 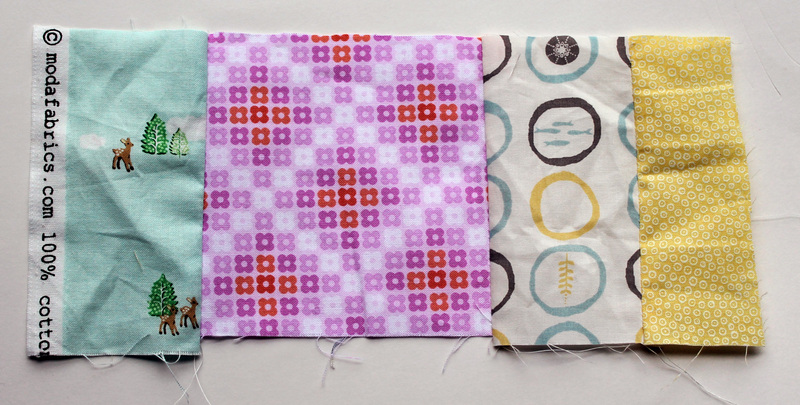 I have just signed up for an Instagram mini quilt swap so I need to embrace the mini quilt more…and they are perfect for paper piecing. I tend to go on the Internet and look at other quilters’ quilts. Ooh I had not thought of that as a way to get inspired. Next time. I don’t often get stuck, but when I do, it’s generally about colour and adjacencies, what will work and what won’t. At the risk of sound like a brown nose, I quite often go and take a look at your Pinterest boards, or just stick some search criteria into Pinterest, like “purple quilts”. It never fails to surprise and interest, and even if you don’t find what you want, it’s mentally refreshing to go and play amongst other people’s lovely work. This looks like fun! I’ve never made imporv blocks like this – I must give it a go soon! Ooh, I love all those pieces together! This is going to be a lovely quilt! I take a walk when I’m in a sewing rut. I get a lot of inspiration from nature ~ tho it really doesn’t show up in my quilts. I live across the street from a very old cemetery ~ it’s so peaceful and lovely to walk there ~ full of old trees and squirrels. I always come back refreshed! You should come by some day and we can go together! I am counting as old WIPs anything that I already have the pattern, zips or whatnots for. That is giving me scope to start a few new things while still whittling down my hoarded stash and reducing the number of project bags piled around my desk. Scraps definitely count as not new. I wish I had this many light scraps!